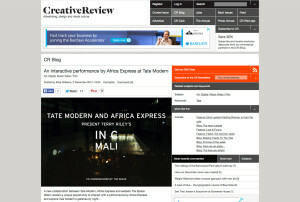 The brief was to maximise digital press and online conversation around the launch of the interactive film. This would include seeding the film, social media promotion by third party sites and negotiating exclusives. The main focus would be music press and using the existing Charmfactory network as well as exploring where viable tech and arts press. 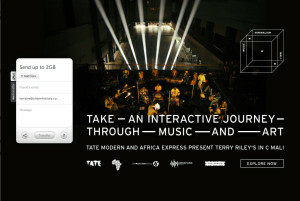 Tate wanted to encourage genuine engagement with users and media whilst being sensitive to ensure that Tate are not seen to be commercially involved in the release of Africa Express’ ‘In C’ album. Charmfactory were called on to focus on online music media and to act as main point of contact for all media enquiries in the first instance. 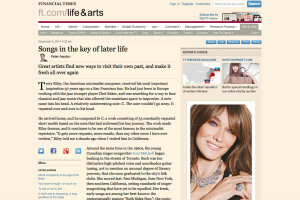 CF to alert Tate as opportunities arise for any significant coverage in the arts or national media. Success would be measured against views on the interactive and also a breadth and quality of press. We Transfer promotion – we secured screen takeover running for a duration of 3 weeks which included a preview clip of the film and clicked through to view the fully interactive film. 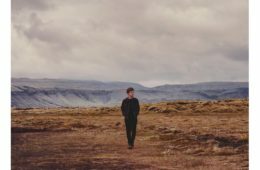 Creative Review – ran a fantastic feature on the interactive film which they shared across their social channels which includes over 1 million people on Twitter and included it in their weekly newsletter which goes out to over 20K subscribers. Tech Crunch ran a feature curated by The Space. 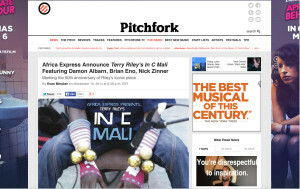 Pre-release news featured on the likes of: Pitchfork, Rolling Stone, FACT Mag, DIY Magazine, Ok Africa, Consequence of Sound, Exclaim, MXDWN, Radio and Alterno. 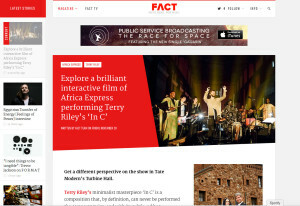 Interactive Film feature with embed; The Line of Best Fit, Clash Music, Readers Digest, Fact Magazine, DIY Mag, BBC Arts, Guardian, Exclaim, World Music Review, Urban Development and World Music Review. The We Transfer promotion Charmfactory secured had an ad value of €27,500 and 4,2m impressions were delivered which resulted in over 14K click-throughs. 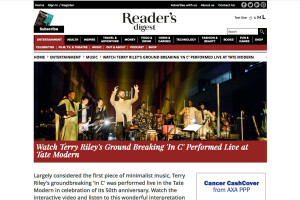 Over 20 pieces of high quality and well targeted pieces of coverage across broadsheets, music, technology arts and entertainment sites.